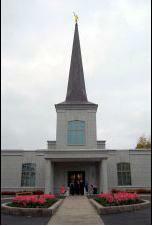 This site is dedicated to all the missionaries who served in the Baltic Mission, formerly the Lithuania Vilnius Mission, formerly the Latvia Riga Mission of The Church of Jesus Christ of Latter-day Saints. Please feel free to browse the Alumni Database, check out the Recent News or post to the Message Board. If you are not a returned missionary (from this mission) but still would like to contribute, post a message to the Guest Book.